Giancarlo Gomez: FusionReactor Developer Edition!!!! 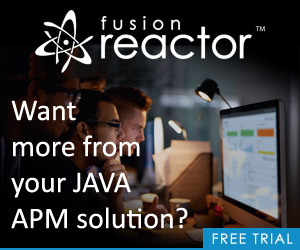 I can't express how valuable FusionReactor is for me daily and today on their Holiday mailer I noticed bullet item #8 which stated "Introduced a FusionReactor Developer Edition". This bullet item got my attention, because I have a Developer subscription that is normally available after you have 1 Production license which comes at a lower cost. So I was wondering why it was a bullet item on their newsletter. This now goes to another reason why I love this company so much, not just because their product is great but because you can reach out to them and they respond almost immediately (we are across the pond from each other). So I reached out to David and he confirmed this was a different and less expensive version than I was currently paying for. Merry Christmas!!!!!! So here is the low down on this version. The initial cost for this version is ONLY $199, which includes your very own perpetual license and the first year of updates. Renewing for updates annually is only $99, but if you decide to not renew you still own your license. This is really great for them to offer for us and the savings over what was previously available even for the developer based subscriptions is HUGE!!! This company does offer a great product and if you are using it on a production server I would say pay for the correct license as the product pays for itself. David will be posting a blog entry soon regarding this edition, until then, you can purchase the developer edition by using the following link. Thanks for the cup at the ColdFusion Summit this year! Why does my onError() fail on Request Timeout?